Finally, House of Lashes offers a specialized House of Lashes book, which is known as Lash Story Pro Edition. It is essentially a novel shaped case that is perfect for safely storing all your falsies, and also features 2 slots where your eyelash adhesive can be tucked away for future use. With innovative products, intercompany reputability, ethical practices, and so many products to choose from, House of Lashes has grown to be one of our favorite fake eyelash brands of the year. Throughout this review, we will dive deep into some of the history and background of this start-up, along with an explanation of where it is possible to buy their products. On top of all this, we have selected our favorites from their various collections, and we will provide a short review about each House of Lashes eyelash style. Finally, we will conclude this walkthrough with a breakdown of how we rated House of Lashes and our final verdict on the company. Who Are House of Lashes? Founded in 2012 and based out of sunny Southern California, House of Lashes began with their vision of producing false eyelashes that were not only high-quality, affordable and cruelty-free, but also inclusive of all eye shapes and sizes. This led to the development of products made only from synthetic fibers or 100% sterilized human hair, utilizing lash band technologies that keep the falsies lightweight and comfortable. House of Lashes strives to be an innovator in the beauty industry, continuing to revolutionize the world of false lashes by developing styles that are on-trend and chic, in addition to some unique selections that cannot be found anywhere else. They hope to empower their customers worldwide with their false eyelash options, promoting confidence and comfort so that your inner beauty can continue to radiate outwards. House of Lashes sources their human hair and synthetic fibers from Indonesia, where they maintain close working relationships with the incredible factories that produce their products. They are constantly ensuring that their employees operate in healthy, happy and ethical working environments, all tying into this company’s priority of putting animal/human rights and high quality at the top of their list of priorities. Now that you know a bit about House of Lashes and their company values and intentions, you may be wondering where it would be possible to purchase House of Lashes eyelashes. 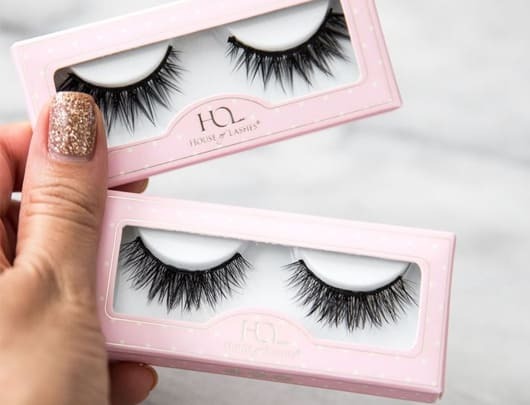 If you’re desiring your own House of Lashes set, you’re in luck – this quickly expanding company is available on a number of online websites, along with in-store boutiques and retailers. House of Lashes cruelty-free falsies are not only easy to discover but also affordable, and this is part of what makes them such a customer favorite. 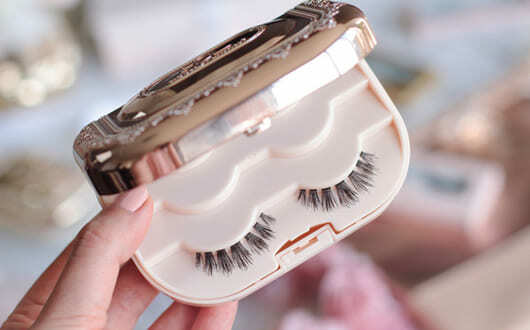 There are a few sites where you can buy House of Lashes online, each offering similar prices. The most straightforward place would be to buy your selections directly from House of Lashes on their official website at www.houseoflashes.com. If you are an Ulta Beauty member, then you may be excited to know that House of Lashes is at Ulta and can be purchased from them, scoring you more member points so you can collect your makeup prizes faster than ever. Additionally, sites like beautybay.com and Amazon also sell some of the best House of Lashes sets. If you plan on purchasing a lot of falsies all at once, be sure to have a place to store them all. The House of Lashes Lash Book is also purchasable online and will safely store your fake eyelash sets, plus it offers a beautiful aesthetic and appears like a storybook, only making your storage solution that much more decorative, yet still practical. Beyond the sites mentioned, there are many other House of Lashes retailers. Be sure to compare the House of Lashes price with alternative retailers to make sure you are getting the absolute best deal you can. Additionally, keep your eyes out for the House of Lashes sale items that are sometimes featured on their official site. It is possible to snag exclusive deals there from time to time. Furthermore, House of Lashes Cyber Monday takes place from time to time, where they offer many discounts on all their top-selling selections, so if you know Cyber Monday is right around the corner, try and wait until then to get your money’s worth. Sometimes, it is possible to find House of Lashes 10 off coupons as well, which will assist in lowering your final shopping cart total. Just by doing a little research, you can become a House of Lashes pro in no time but in the end, nothing beats the original House of Lashes manufacturer, a.k.a. purchasing directly from their official website. One unique and fun aspect, it is sometimes possible to discover House of Lashes x Sephora collection styles that are typically available as an exclusive offer. This means that Sephora sells styles that are a design collaboration between the two brands, typically only purchasable online. Some of our favorite selections from this exclusive collection are the Everlasting House of Lashes style and the Timeless House of Eyelashes style. If you want to score big for the holidays, try searching for the limited edition House of Lashes Holiday Gem Set, which is also a collaboration with Sephora. Before you know it, you’ll also be a House of Lashes owner, and we have a good feeling that you’re going to fall just as much in love with these falsies as we did. House of Lashes offers an official stockists list on their website, where they list which retailers sell their products both in-store and online. There unfortunately is no official House of Lashes store in person, so if you want to purchase directly from the company, you’ll have to opt for buying through their website, but some other businesses do stock House of Lashes if you would like to check out the different options in the flesh. In the United States, it is possible to purchase House of Lashes products at Ulta Beauty, both online and in-store, as well as some select Urban Outfitters locations. For Urban Outfitters it is ideal to call them in advance to see if they stock the falsies you want. All 20 of the Ricky’s NYC locations supply House of Lashes, in addition to Frends Beauty and Nigels in Los Angeles, California. Internationally, it is possible to find House of Lashes products at CurliQue Beauty in Vancouver, BC, Canada or at 173 various H&M locations throughout Sweden and Norway. The House of Lashes Upper Eyelashes options are broken down into specific categories based off of the style of the lash. The categories that we will be reviewing include Premium, Classic, Lite, Faux Mink and Mini. The Premium lash category features falsies that are designed to enhance and heighten natural beauty, creating a look that is not only captivating but completely glamorous at the same time. All of these selections are quite voluminous and eye enhancing, so they are bound to make your eyes pop. Ideal for red carpet events, special occasions, weddings, an evening out or any other celebration, these fake lashes are festive and alluring, packed full of oomph and intensity for the ultimate glammed up look. If seamless and all-natural is your desired effect, look no further with the Classic lash collection from House of Lashes. The falsies in this category effortlessly blend with your natural lashes, generating an appearance that works for any hour of the day or night. The perfect fake lashes for wearing to the office or a meeting, on top of your after-work events, these selections help make your makeup look more polished and put-together, in a way that is not overwhelming. The Classic Collection options are super easy to apply and wear, making them an ideal choice for those who are just beginning on their false eyelash journey. The Classic choices are made from 100% sterilized human hair, organized on a clear and flexible lash band that can’t be seen when placed upon your eyelid. The lighter, more natural versions of some of the styles in the Premium and Classic categories, the House of Lashes Lite selections are ultra subtle and versatile, suited for all of life’s unexpected surprises, and all the planned events in between as well. Designed with lightweight, cruelty-free synthetic fibers that are organized on a thin and comfortable cotton band, these falsies offer lots of dimension and fluff, without overdoing it. The House of Lashes Faux Mink category is essentially as the name implies – these lashes are super soft, lightweight and sophisticated, just like real mink falsies tend to appear. The twist; these selections are completely cruelty-free and crafted from synthetic fibers with a specially designed cotton lash bland that is probably the most comfortable band House of Lashes has to offer. Although the available options are only a few, all of them are incredible and offer so much extra length and volume. The Mini selections are all smaller options of some of the Classic and Premium styles. They are designed specifically for those who tend to trim their falsies before wearing; people with smaller eye shapes or unique shapes that are more challenging to find the right pair of lashes to match. The Minis have got you covered with their subtle ability to emphasize and accent the eyes, all while maintaining an organic but plush feel. Crafted with either 100% sterilized human hair or synthetic fibers, just like the rest of House of Lashes’ options, the Minis are also cruelty-free. The Accent lashes category essentially just includes options that are not upper lash strip falsies. Basically, this section features products that are either designed to be worn on the lower lash line or are created to be applied individually (one by one fake lashes). The House of Lashes individual lashes were created as a way to generate the custom look you desire. These single hairs are buildable and can be applied in areas where natural hairs are the most sparse, or they can be distributed all over for a more glamorous and full appearance. The choices in this section are all made of 100% sterilized human hair, making them lightweight and comfortable, as well as subtle-looking. Individual lash clusters made from 100% sterilized human hair for a fully customizable and natural look that can be subtle or built up for a more dramatic appearance. Doubled up individual lash clusters made from 100% sterilized human hair for a fully customizable and natural look that can be subtle or built up for a more dramatic appearance. Tripled up individual lash clusters made from 100% sterilized human hair for a fully customizable, dramatic look that can be applied for a subtly glamorous effect or built up for an extremely full, voluminous appearance. The set includes (1) Le Petit Single, (1) Le Petit Double, (1) Le Petit Triple. 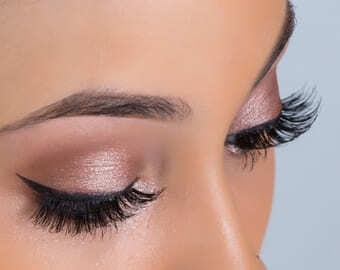 Applying bottom false lashes along with a set of upper lashes simply amplifies your look and increases its impact. 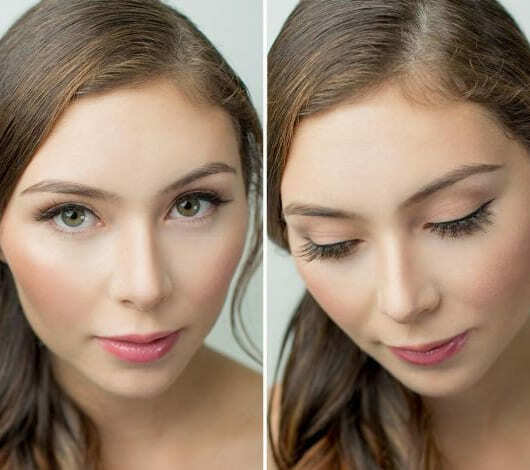 Lower lash line falsies certainly are not for everyone – the look is likely too extreme for many, but if you have a special event or occasion and want to look extra dolled-up, these options are for you. Made from 100% sterilized human hair organized on a clear, invisible band, these lower lash line falsies are light and produce a barely-there look. If you simply cannot choose what lash style to buy, you don’t have to settle. House of Lashes’s Custom 3 Pack option allows you to select your own combination of three false eyelash styles, which then can be purchased all together for a discounted rate. This option is especially economical for those who are makeup artists and need to maintain a large stock or simply for the extreme lash lover that wants to have plenty of choices to pick from. Choose three of the Classic collection eyelash styles and build your own custom 3 pack for a discounted price. Select from the following styles: Au Naturale, Sweet Romance®, Femme Fatale, Temptress®, Hollywood Glam, Siren™, Heartbreaker®, Bambie, Temptress Wispy®, Smokey Muse, Mon Chéri. Choose three of the Noir Faux Mink collection eyelash styles and build your own custom 3 pack for a discounted price. Select from the following styles: Lavish Noir, Opulent Noir, Posh Noir. Choose three of the Lite collection eyelash styles and build your own custom 3 pack for a discounted price. Select from the following styles: Noir Fairy® Lite, Iconic® Lite, Boudoir Lite, Demure Lite, Allura Lite, Serene Lite. Choose three of the Premium collection eyelash styles and build your own custom 3 pack for a discounted price. Select from the following styles: Iconic®, Starlet, Boudoir, Spellbound, Knockout, Noir Fairy, Juliette, Natalia, Allura®. As with everything, nothing is perfect. The same goes for eyelash companies, including House of Lashes. Although House of Lashes has mostly shown us positive attributes, we did notice some downsides and we wanted to share them. It is wonderful that House of Lashes is constantly developing new lash styles to keep their stock fresh and up-to-trend, but sometimes they will discontinue styles that we actually really began to adore. Our solution to this, is stocking up on our favorites if the discontinuation is announced, so that at least we can enjoy them for a while longer. Certainly, the new product styles will be just as lovely, but for some individuals, the changing stock might be a source of frustration. Additionally, if you reside in an area of the world like Asia or some parts of Europe where it is not easy to get your hands on House of Lashes products, it can be difficult and sometimes expensive to order online. 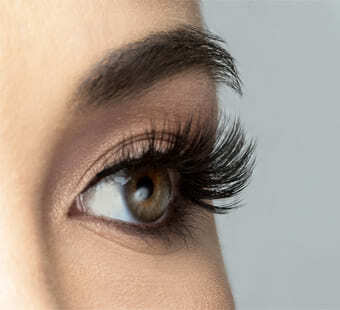 As House of Lashes continues to expand, we would really love to see more storefronts supplying their brilliant falsies. As with all of our reviews, we carefully rate each company based off of specific criteria. While testing products and conducting research, we focus on 5 primary categories: company reputability, price, quality, variety, and durability. Overall, House of Lashes scored quite high in all of the categories and we were quite happy with the results we got from these products. We believe that our readers will enjoy the selections that House of Lashes has to offer as well. House of Lashes is a relatively new company, starting out in 2012, but that does not mean that is hasn’t already left quite an impact on the world of beauty. Collaborating with massive makeup brands, such as Sephora, House of Lashes gives us all of the right reasons to trust their products, from quickly establishing themselves to consistently releasing top-notch options that seem to sell out quickly and gather many positive reviews. For this reason, we have given them a 95%. With time, we expect that House of Lashes will garner further momentum, and they still have a ways to go to become one of the beauty world’s mega brands, but we certainly do believe that this company is capable of becoming big. This category is where House of Lashes scored the best. This brand offers luxury quality, without the insane price tag, costing around half the price of most comparable, high-end lash brands that are not sold in drugstores. For this reason, we have awarded a 99% score for price. Honestly, we do not think these falsies could be any cheaper for the consumer to purchase, at least not without sacrificing quality. Most individuals would agree that a reasonable price point with all of the quality is a better choice than an extremely inexpensive price point that lacks the same quality. House of Lashes sells only superb quality fake lashes, so you can expect that the product standards will always be great. 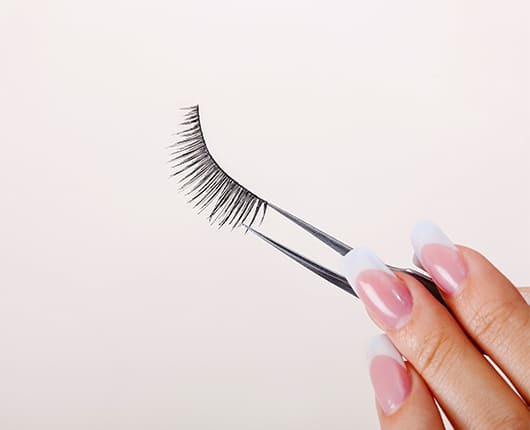 Their falsies are only cruelty-free, either made from 100% real, sterilized human hair or a synthetic fiber, which can sometimes cause some consumers to feel as if the quality will be sacrificed, but that is not the case. House of Lashes has definitely mastered the art of crafting cruelty-free lashes, and they, along with other brands such as AZLO, Ardell and Kiss who stay away from animal origins, prove that falsies made from mink alternatives can be just as outstanding. We have awarded House of Lashes a 94% for quality. One of the mission statements of House of Lashes is to produce lashes fit for all eye shapes, so it would make sense that this would be one of the company’s priorities. With this being said, House of Lashes, without a doubt, has a lash that is suited for just about anyone, and typically offers multiple options of eyelashes to fall in love with. For this reason, we have awarded them a 98% for variety, satisfying the fake eyelash desires of all their customers. With multi-dimensional lashes that look wonderful on a diverse selection of individuals, the number of options is still kept at the smallest amount possible, so that shopping does not become overwhelming. House of Lashes has managed to keep their selections to a minimum, all while still offering flattering choices for all walks of life, eye shapes, eye colors, makeup looks and face shapes. Although House of Lashes does not specifically state on their website how many times their lashes can be reused, we did put them up to the test. With proper care and cleaning, we were able to get about 20 wears on average out of the same pair of falsies, which is a similar duration to other high-quality lash brands like Huda Beauty, Lilly Lashes, Esqido, and Velour. Considering the price you’ll pay for this affordable choice, 20 wears on average is excellent. For this reason, we have awarded House of Lashes a 96% in the category of durability. House of Lashes is a budding false eyelash company with a lot to offer in terms of their products. Their falsies are high quality and affordable, two aspects that are extremely appealing for any makeup lover, and we really appreciate how they strive to be inclusive of all eye shapes and eye sizes. Their desire to create styles that are a fit to all is apparent even when scrolling through their site photos, where almost every pair of falsies is displayed on every major eye shape, just so that customers can imagine what that specific style of eyelashes could look like on their own eyes. We like also that the company is smaller scale and concentrated on having fair trade working relationships with their employees and manufacturers. All of these elements ensure that products maintain at a higher quality, and House of Lashes is clearly concerned about the wellbeing of their staff and also the satisfaction of their customer base. Not every day that a big lash brand has this many options. Really great to be able to buy a lash I love and then get the lite version with it too for my more natural wear days. Bought their lite custom pack. Very satisfied thanks.